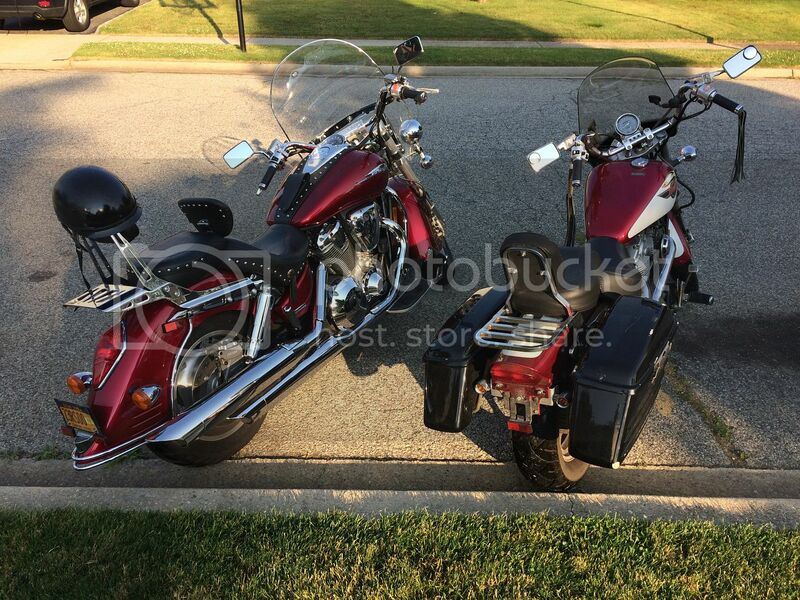 Hey looking into some hard saddlebags and love the pic of your bike. I have a newer spirit, a 2001 and I have been trying to find at least a decent pic of someone putting these on a 1100 spirit. My questions are 1. Do you have any more pics of the bike from different angles? 2. were you able to keep you duel exhaust or did you change to a 2 into 1 setup? Thanks for your help ride safe. Hey saw a pic of your bike on a thread. Love the HD hard saddlebags you got on it I've been planning on doing that with my shadow 1100, wondering what type or kind of mounting kit you used. I did get the 2into1 exhaust for mine to work with those hard bags. Any info would be great. Love the bike. Thanks for your time. I have very little experience. Got my open water last summer now looking to get some dives under my belt. I don't have anywhere in mind just want to go somewhere with at least a little vis. Hey, how's it going.? Your charter boat is a dive boat right? honestly i dont have any idea if it'll fit or not, i doubt that it will but, I will look and get back with you but I may have it sold, depending on shipping.